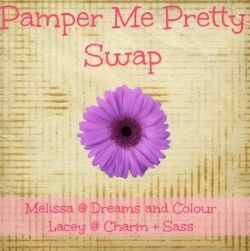 Back in March, Lacey from Charm + Sass and I decided we wanted to host a swap together. 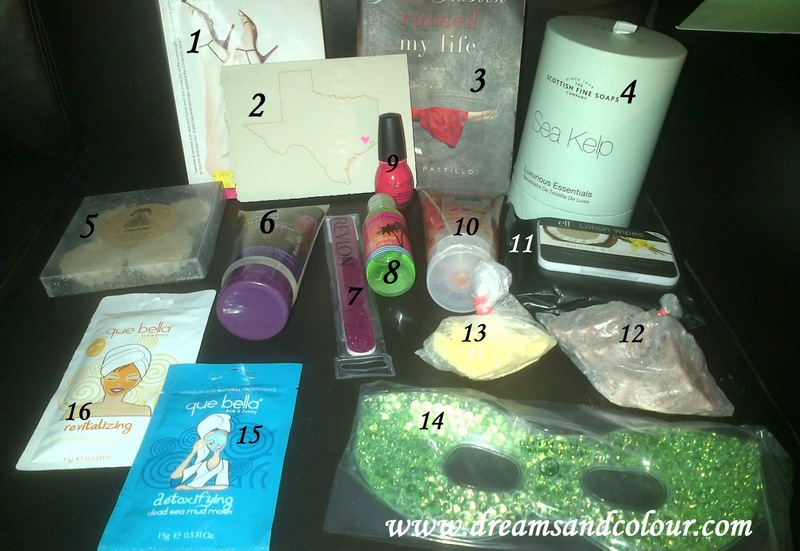 Next thing you know, Pamper Me Pretty was born! Lacey and I had so much fun organizing this swap and I can't believe it's time to link up and share what our partners sent! I was partnered with Lacey from Charm + Sass.I could smell her package before I even opened it...and it smelled good! Jemima J- I had told Lacey, that my life is so hectic that having time to read is really relaxing for me. Lacey sent me this book, which was from her collection. I love getting books from friends that were there's to begin with! A little extra love, a little extra meaning. Plus, this book has been on my reading list forever! Card from Lacey- she wrote me the sweetest message! Jane Austen Ruined My Life- Another book from Lacey's collection. I remember hearing about this book and can't wait to read it! Sea Kelp- This is actually a travel pack and has body wash, shampoo, body butter and soap. Wax Tarts- The scent is 'fresh bread'. Smells good and I can't wait to burn them! Best part? Lacey MADE them!!! How great is that?!?!? I had no idea that my friend/partner was so talented! Coca Butter Body Wash- Smells good and I can't wait to try it! After Sun Moisturizing Gel- Tropical Coconut. I think I mentioned this to Lacey...I love being outside and at the beach (reading, of course). I burn super easily so this will come in handy! Nail Polish- It's a great pink colour called Thimbleberry. This will be a perfect colout for the summer. Loofah Exfoliating Scrub- Peaches & Passion...also smells good. I actually almost out of the body scrub I usually use, so I will be trying this super soon. elf Lotion Wipes- Vanilla Coconut. Coconut is actually one of my favourite scents! This is actually a company I have yet to find in Canada (another swap partner introduced me to their lip balm). I have super dry skin and these wipes are supposed to hydrate and moisturize. I'm excited to try them and see what happens to my skin. Wax Tarts- Also made by Lacey! The scent is Hazlenut Coffee...one of the best scents! So good! Wax Tarts- These ones are Sweet Tea and also smells so good! Can't wait to try these...and of course, made by Lacey! Cooling Eye Mask- I have never tried one of these masks before, but have wanted to for ages. Did Lacey spoil me or what???? So many great things and I can not wait to try them out! Lacey made sure that I would be pampered and Pretty! Now it's your turn to link up and share what you got to 'Pamper Me Pretty'! Great idea for a swap :) Thanks for organizing!! I'm so happy that you are excited about everything in your box :) That makes my heart happy!! Thanks for hosting this with me friend, it was a great time!! I love this "swap" idea! So fun!